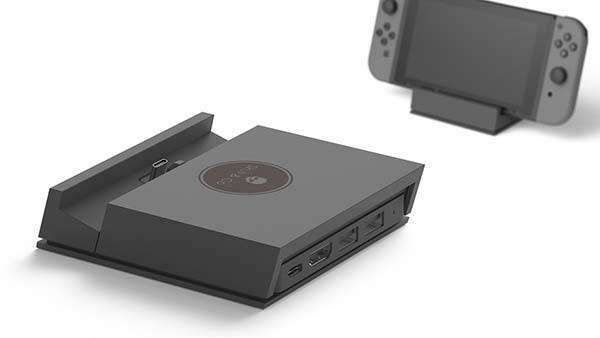 Jumpgate portable Switch dock lets you more comfortably enjoy your favorite Nintendo Switch games, and the detachable adapter works as a USB-C hub. Like the idea? Let’s keep checking. The Jumpgate is a well-designed and multi-functional docking station designed for Nintendo Switch. The Nintendo Switch dock measures 4.2 x 3.9 x 1 inches and weighs 3.35 oz. As shown in the images, it shows off a low-profile, minimal appearance design, and the matte black finished exterior ensures it blends well with Nintendo Switch. 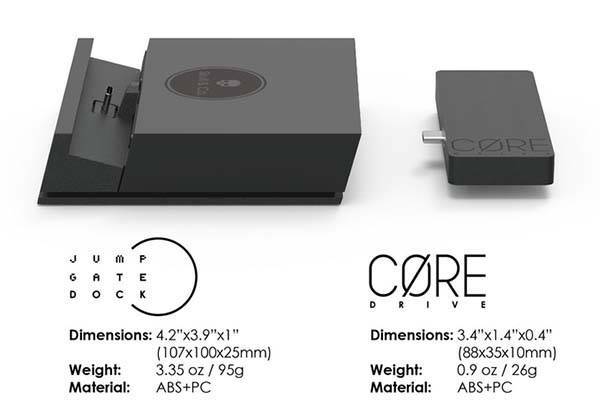 Meanwhile, the ABS and PC body delivers a durable construction. With 5 degrees of adjustable range, the portable Switch dock allows you to dock your Switch with or without a protective case, and the tilting cradle lets you comfortably play games in tabletop mode. Of course, you also don’t worrying about it running out of juice, and the pop-up top cover creates a gap, which allows the air circulation to enter the vents on the back of Switch for heat dissipation. 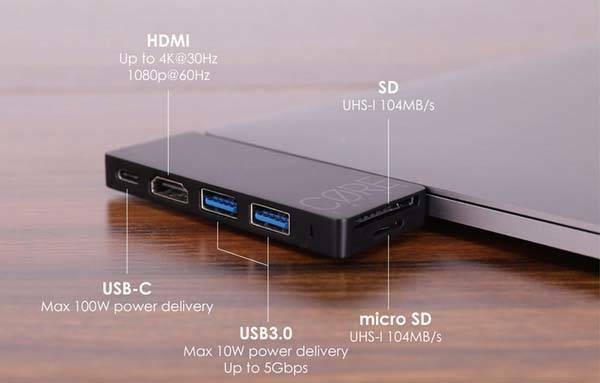 Furthermore, the main adapter of the dock is detachable, which doubles as a USB-C hub, abs the hub comes equipped with a USB-C port with up to 100W Power Delivery, two USB 3.0 ports, an HDMI port and a microSD card reader. With a USB-C connector, it works with any USB-C equipped laptop or desktop computer in order to add more external devices to your computer. The team behind Jumpgate is raising fund for the product on Kickstarter. We can pledge $43 to preorder the portable Switch dock with detachable adapter. It will be shipped in November 2018.